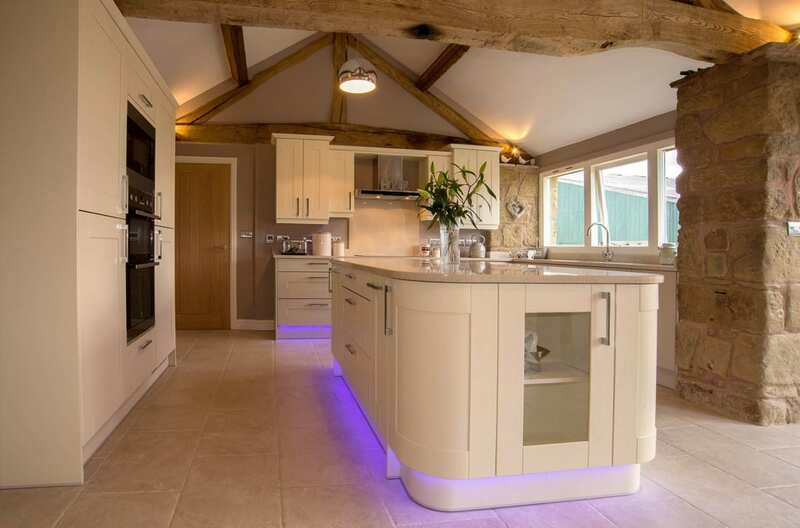 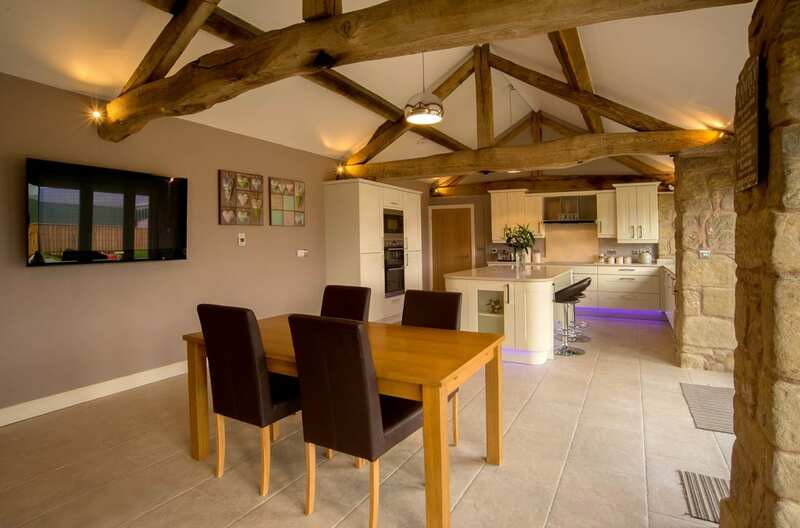 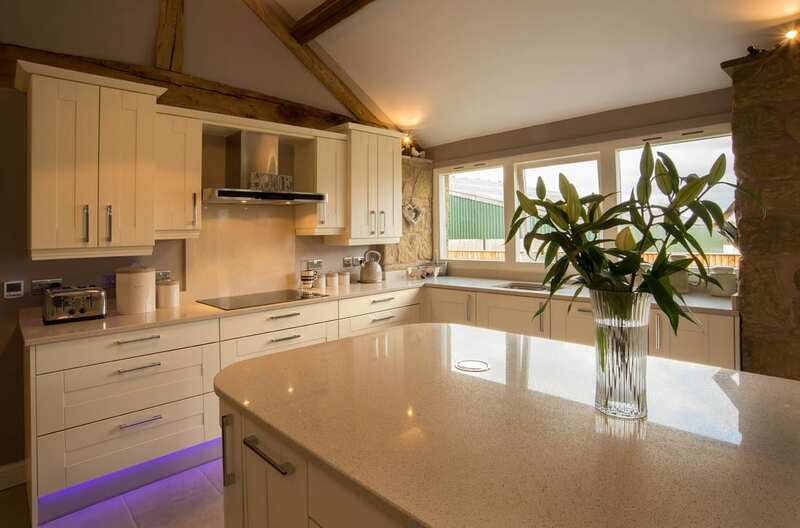 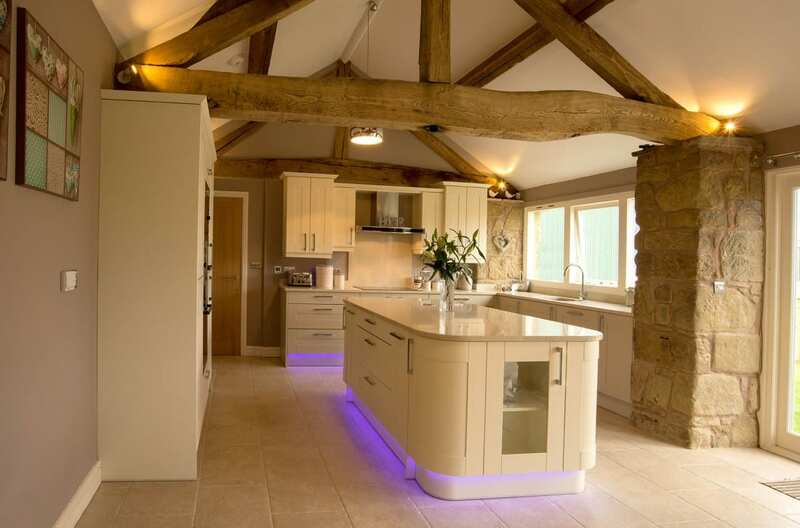 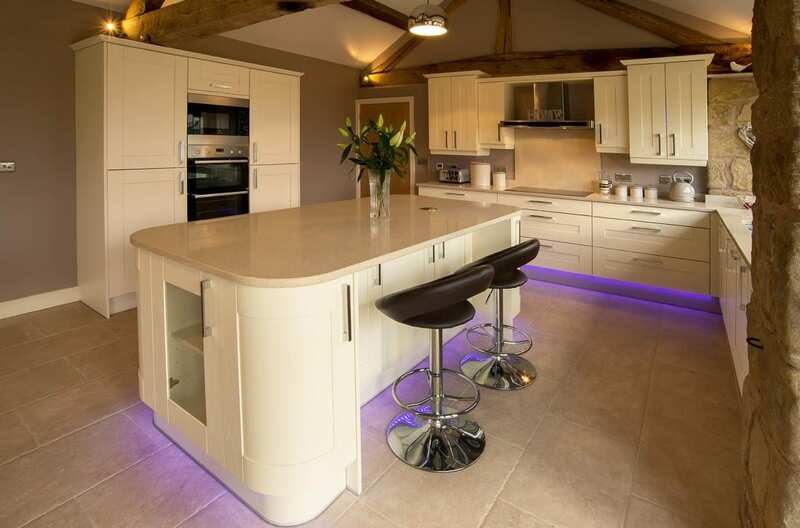 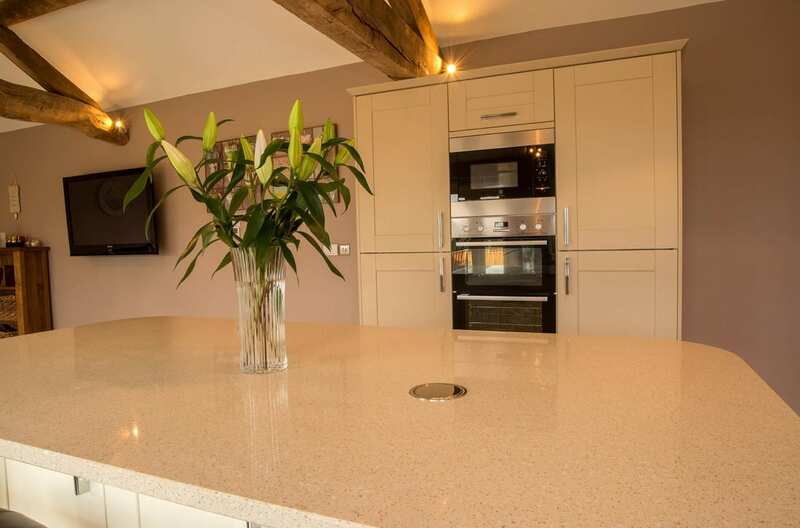 A traditional kitchen in keeping with this already beautiful converted barn. 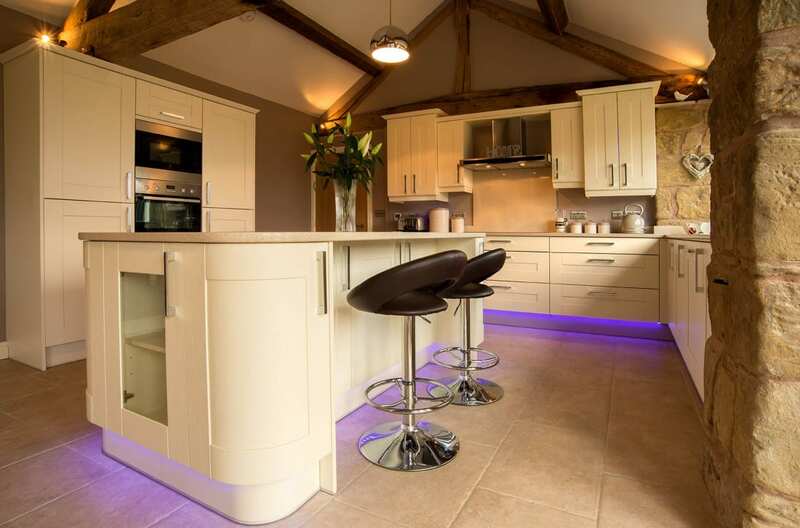 An excellent example of using this same colour pallet throughout a kitchen. 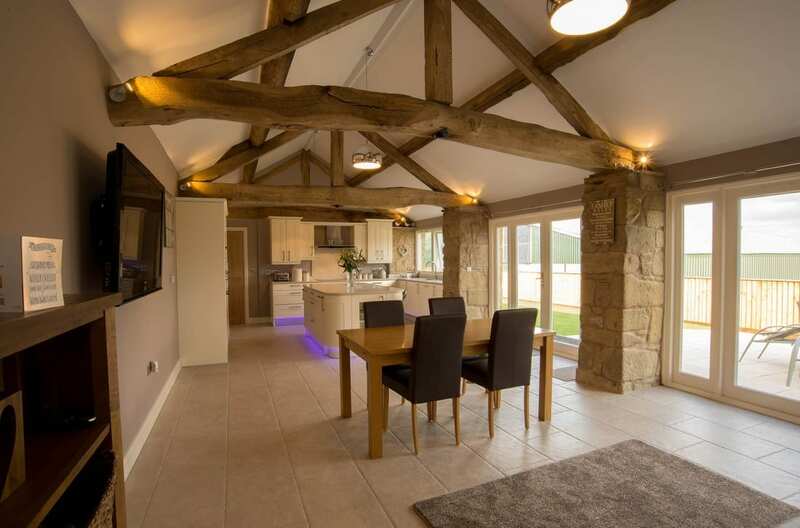 While this does have different shades of door in Soller and Biscuit the slight contrast next to the cream worktop, warm sandstone and rustic beams make the whole team work beautifully together.